Canelo Alvarez, the worldwide boxing phenomenon who is currently enjoying a well-deserved vacation in Europe, sent a warm message to Miguel Cotto (41-5, 33 KOs), the only four-division world champion in Puerto Rico’s rich boxing history and the current WBO Junior Middleweight World Champion, as he prepares for the final fight of his illustrious career against Sadam “World Kid” Ali (25-1, 14 KOs) at Madison Square Garden. The event will take place on Saturday, Dec. 2 and will be televised live on HBO World Championship Boxing® beginning at 10:00 p.m. ET/PT. 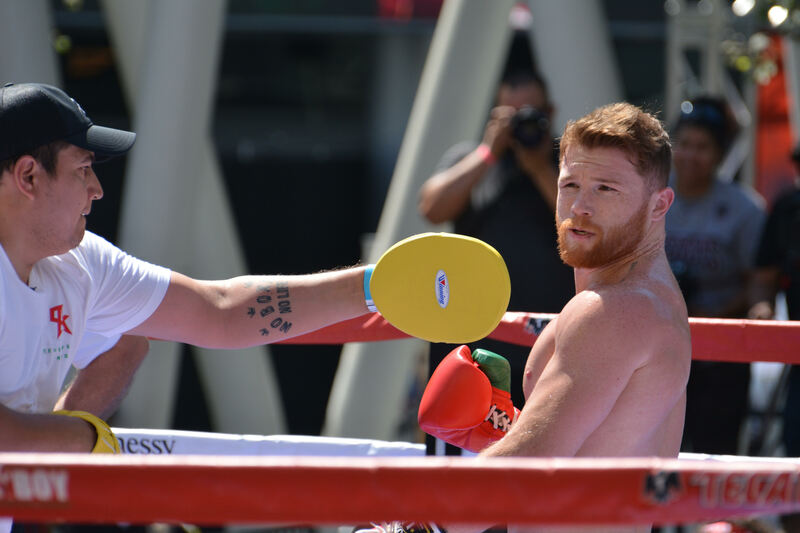 Canelo, who faced Cotto in Nov. 2015 for the Middleweight Championship of the World in one of the most important fights of this era, sent his best wishes to the legendary Puerto Rican as he closes the book on his career. Cotto vs. Ali, a 12-round fight for the Cotto’s WBO World Junior Middleweight Championship, is presented by Golden Boy Promotions and Miguel Cotto Promotions. Vargas vs. Negrete is a 12-round fight for Vargas’ WBC World Super Bantamweight Title and is presented by Golden Boy Promotions and Miguel Cotto Promotions in association with Promociones del Pueblo. The event is sponsored by Tecate, “THE OFFICIAL BEER OF BOXING,” “Hennessy: Never Stop. Never Settle.”, and Casa Mexico Tequila. The event will take place Saturday, Dec. 2 at Madison Square Garden in New York City and will be televised live on HBO World Championship Boxing beginning at 10:00 p.m. ET/PT. The RingTV.com livestream will begin at approximately 6:45 p.m. ET/ 3:45 p.m. PT. Tickets for Cotto vs. Ali are priced at $500, $300, $200, $100 and $50 and are on sale. Tickets can be purchased at the Madison Square Garden Box Office, all Ticketmaster outlets, Ticketmaster charge by phone (866-858-0008) and online at www.ticketmaster.com, www.goldenboytickets.com or www.MSG.com. For more information visit www.goldenboypromotions.com, and www.promocionesmiguelcotto.com, and www.hbo.com/boxing. Follow on Twitter at @cottopromotions, @GoldenBoyBoxing, and @hboboxing, and become a fan on Facebook at www.facebook.com/GoldenBoyBoxing and www.facebook.com/realmiguelacotto. Visit us on Instagram at @GoldenBoyBoxing and @realmiguelacotto and follow the conversation using #CottoAli.